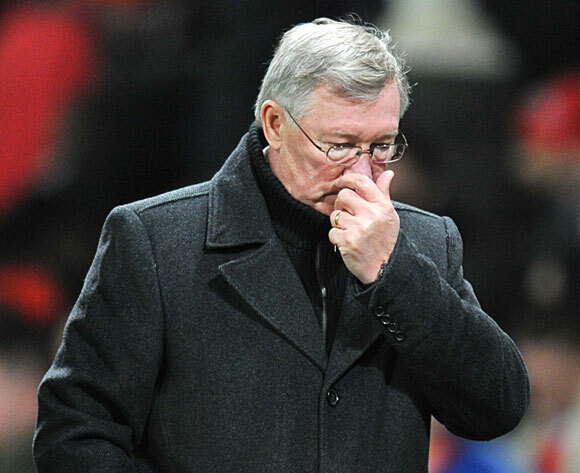 Watching Ferguson walk off the pitch in Basel, you couldn’t help but wonder what was going through his mind. Last time Manchester United didn’t make it out of the Champions League group stage was in the 2005-2006 season, which was the culmination of a declining side, just before the rising, in the league (four titles in five season) and the Champions League (three finals in the last four seasons). And how things have changed since August. United began the season with a tremendous 3-2 comeback win over Manchester City. It wasn’t only the comeback, but mostly the ability, and promise. It seemed to all that City aren’t there yet, at the place where they can challenge United. The beginning of the season, with a 3-0 win over Tottenham, the 8-2 over Arsenal and a 5-0 over Bolton had us amazed. Ferguson has learned from Barcelona and improved his team to match with them, it was said. This is a new, brilliant, flashy United. Unbeatable in the league, and possibly in Europe. United bounced back in the league with a win over Chelsea, but something in the machine, that played beautiful football, was cracking. Injuries had something to do with it, but in general, it seemed like the praised United got heaps of very early on were a bit exaggerated. The draws against Stoke, Liverpool and Basel became Red, shining warning lights. The 1-6 crashing at home against City was too late. Manchester United didn’t impress once during their Champions League campaign. A few minutes here and there at Old Trafford and Benfica, nothing more. The wins over Otelul Galati gave false hope that here come the Red Devils again, but only false hope. United’s problems took Ferguson backwards, as the league style, not the results, might suggest. Since that derby day defeat United have won four of their five Premier League matches with a 5-1 scoreline. A goal a game. Four 1-0, one 1-1. The whole “like Barca”, quick football and passing style disappeared. The defensive problems without Vidic (probably out again) made United a depressing team to watch. Wins? Yes. Style, or any indication this is a great team in the making? Not. I would draw parallel lines to Chelsea’s collapse last season after ripping through the league early on. That wouldn’t be right, as United have a manager like Alex Ferguson who, by sheer will and intimidation alone wouldn’t let anything like that happen. It’s sounds almost magical, but plenty of times Ferguson’s success and complete control over his team is of mythical proportions. Until the 6-1, which, according to his words, was a momentary lapse and loss of control. No longer another day in the history of Manchester United, or at least trying to portray that atmosphere. The drop into Europe League matches is another blow in the 2011-2012 season that started so brightly but right now has too many question marks surrounding the team.